It don’t mean a thing if you ain’t got that swing… and with MLB 15 The Show on PS Vita you can feel like you’re in the big leagues no matter where you go. Use the new Directional Hitting interface to add even more precision to your play and become the star of The Show. 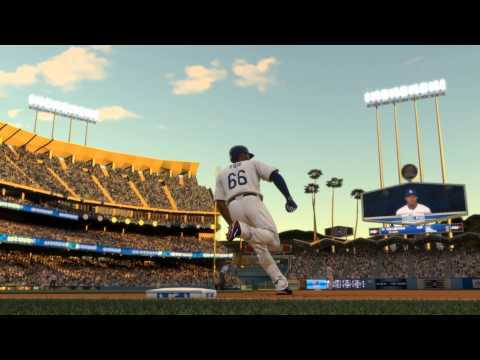 And if you’re an MLB 14 The Show veteran, you can continue your Franchise and Road to the Show progress right here in MLB 15 The Show to make sure you slide right into a familiar bullpen. When you need a little downtime, be sure to enter the field of dreams with MLB legends, which introduces 30 iconic MLB Alumni into the virtual card pool. These players span every historic baseball era of the last 70 years, giving you the chance to find a historic virtual player card to add to your collection and use throughout MLB 15 The Show. On 23rd October, 2017 Sony Interactive Entertainment will terminate the online service for MLB® The Show ™15 on the PlayStation®3, PlayStation®Vita and PlayStation®4 systems. We thank you for your devotion, and hope you've enjoyed your game experience. Multi-player and all online features for this product will be terminated and will no longer be available from 23rd October 2017. On behalf of The Show Team, we'd like to thank you for your time spent playing MLB The Show 15. Comes to PS4, PS3 and PS Vita.